Local display of process pressure improves safety and quality control of gas delivery systems. 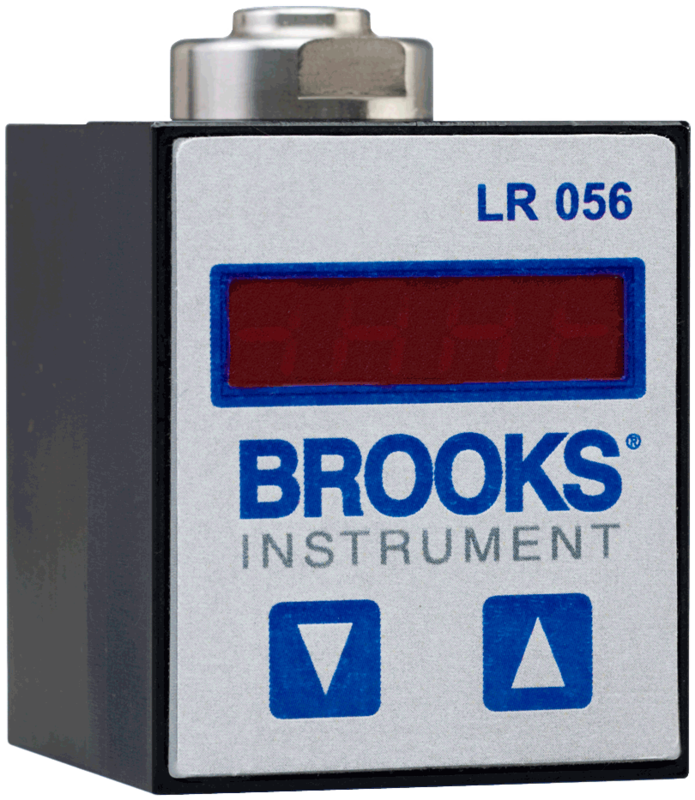 The Brooks Instrument LR-056 is a miniature pressure transducer display for accurate point-of-use pressure monitoring. It allows a 4-20 mA sensor, such as our SolidSense II® Series pressure transducers, to digitally display its pressure and send the signal to a final destination. The sensor connects to the back of the LR-056 with a 4-pin Bendix® connector and connects to the loop through a 2-wire pigtail cable. This device is loop powered and single channeled, and offers a real time reading. The LR-056 has two user programmable set points which define a window - if the window is entered or left an output signal is generated.